for complete information on all of our training programs. With over 90 years of training experience, we train more than just retrievers. 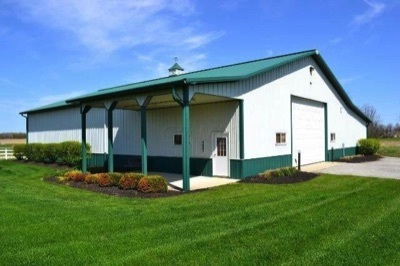 Visit Meglyn Retrievers on Facebook to see our great new training facility located between Johnstown and New Albany, Ohio ! Trained by Don Smith at Meglyn Retrievers. Handled in competition by Don Smith unless otherwise noted. Meglyn's Maramaxx Daisycutter MH, passed her 30th Master test and qualified for the 2014 Master National, Owned and trained by Don Smith, Meglyn Retrievers. Duck Hill Hank a Tank JH, owned by the Kletrovetz's of Ohio. Meglyn's Lil Miss Sureshot JH, CGCA. Junior titled at 11 monts, owned by Don Smith, Meglyn Retrievers. Sunnyside's Lil Lady Luck CDX, RE, JH, WCX, CCA, VC, CGC, TDI, owned and trained by Karen Smith, Meglyn Retrievers. Meglyn Retrievers is a professional training kennel with over 47 years of retriever training experience near Columbus, Ohio. Prior to that, Don Smith raised, trained, showed and field trialed German shorthaired pointers beginning in 1970. 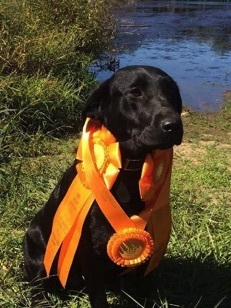 Don is dedicated to providing the best possible training for your retriever, whether you are interested in having a top flight gun dog for hunting or are interested in competing in both AKC and HRC hunt tests. He also provides hunt test handling services if desired. On occasion, Meglyn Retrivers has puppies available.